IWV - Brutal month ahead for the White House? Brutal month ahead for the White House? Politico says the Trump White House is expecting a "brutal September." Why? Because they, along with Congress, will need to address a whole host of issues. Among them: the debt ceiling, the 2018 budget, tax reform, infrastructure spending, and ObamaCare. It is imperative that lawmakers make real progress when they return to Washington next month. When it comes to health care, ending the Washington Exemption immediately is the surest way to force Congress' hand on repealing and replacing ObamaCare. Lawmakers and their staff will have to buy insurance on the exchanges the way the law requires. This move would align the interests of the ruling class with those of the voters, forcing Congress to act. 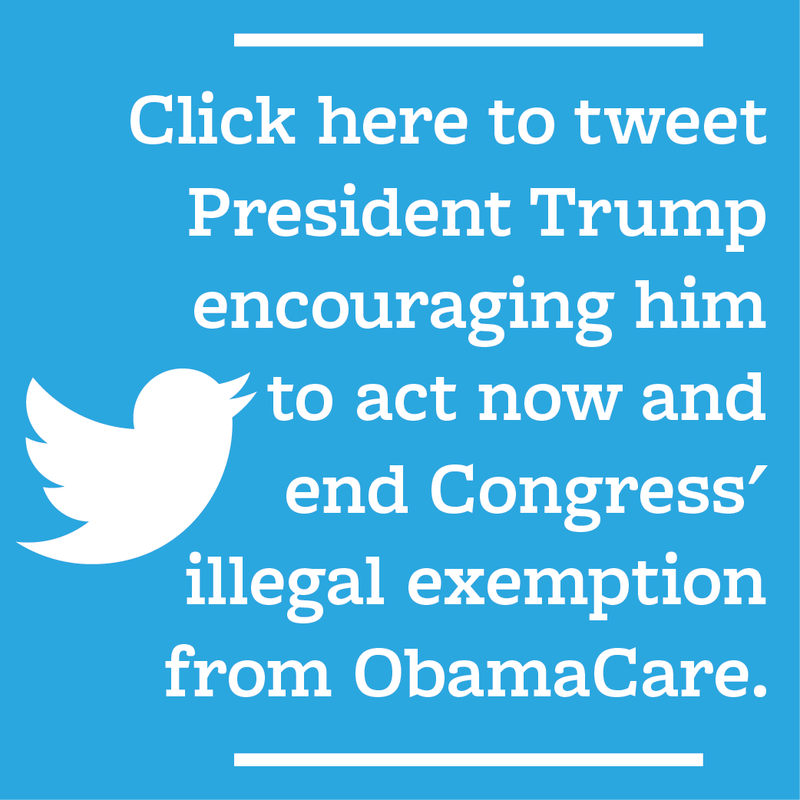 Click below to tweet President Trump and urge him to end the illegal Washington Exemption immediately.